Giving blood is the simplest way to do good. Becoming a blood donor doesn’t take very much time and energy, but it does allow us to give the greatest gift of all – saving someone’s life. 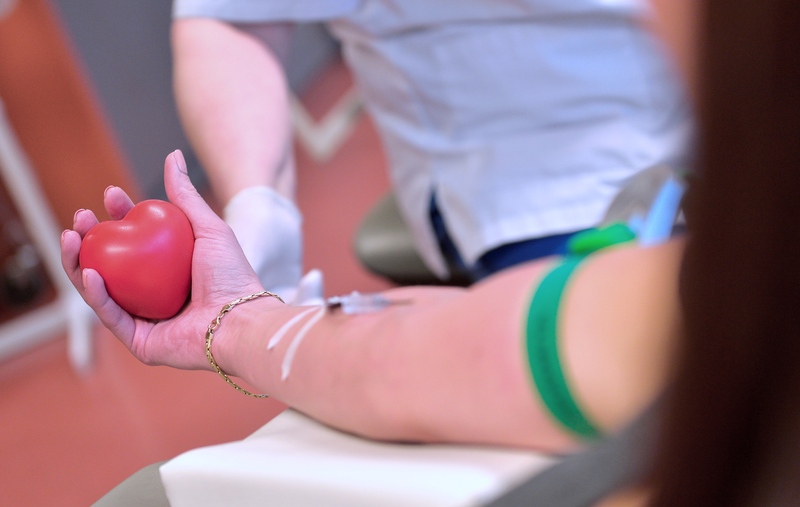 Each day, tens of patients at Estonian hospitals need blood from donors. Anyone – people we know, our friends, loved ones – can find themselves needing help due to an accident. Our own lives could someday depend on donated blood. Blood cannot be produced industrially – the only source is a voluntary donor. By giving blood, we can be sure that Estonia has the supplies needed to save the lives of all who need blood, as no one can be certain they won’t be involved in an accident or other misfortune. Donor blood is used for difficult operations and complicated births, and in treating patients suffering from cancer, liver disease, haemorrhage, severe injury, anaemia, leukaemia, burns and many other diseases and conditions. Donor blood also makes it possible to carry out many planned operations that would not otherwise be possible due to excessive blood loss. In Estonia, blood donations are voluntary and not compensated. The donor’s intentions must be without selfish motives and come out of a sincere desire to help others. Giving blood gives that priceless feeling of having really helped others. Become a blood donor. You can make a difference.